Another eventful Sunday. Okay, maybe not THAT eventful but it's been a scary one for me. At least for about 10 minutes. If you don't already know, I actually stay pretty far away from the city center and I've been here for a good 15 years if my calculations are right. Yeah. Definitely 15 years. I may be horrible in math but I'm quite sure about my years. Anyway, this is what my room has been looking like for a while now. You didn't really think I'd show you a picture of my room did you? No. 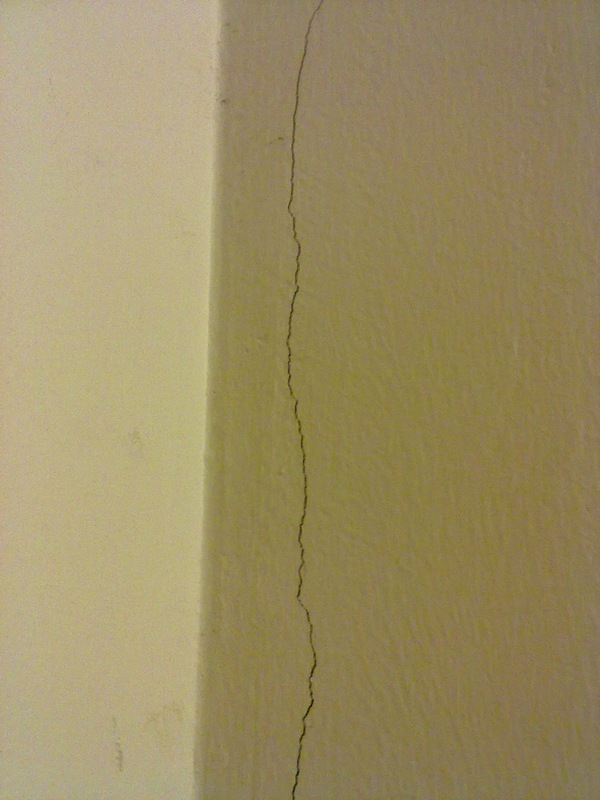 This is the hairline crack of the wall that I sleep next to. Now, because we only have limited rooms in this house, I have been destined *cue the dramatic song* to sleep in the smallest one. I guess that's fine...or not. I've always wanted the middle room but no. I sleep in smallest room. 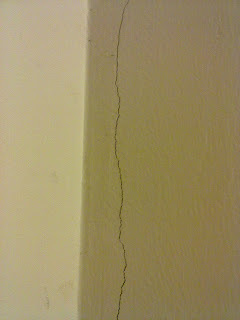 If that hairline crack hasn't been scaring me enough, I mean come on, all old houses have cracks for sure. Welcome to my ceiling. I sleep DIRECTLY beneath this every morning night. To be honest, my room is like my very own sanctuary. So what I did today was that I decided to spend some good time in my room to do some work. Okay, I'm lying, I've been seated like a lazy pig just snacking and watching movies. But that's when I heard "things" seemingly either falling on the plaster ceiling or "feet" walking around. 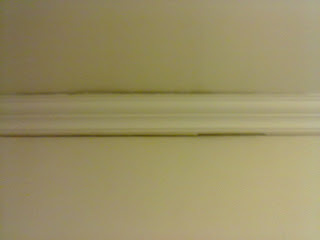 And then some stupid clay or some remnants of whatever just came seeping through that crack and fell onto my floor. I can't find the remnants but I am 6287329% sure that I heard it. The next thing I knew, I was running downstairs with nothing but my phone calling out for my mum in fear. I may be all grown up, but I still cry for my mum. And my mother; my all time heroine decided that she would come up with me and...told me to sleep somewhere else. Mummy powers does have a limitation, you know? 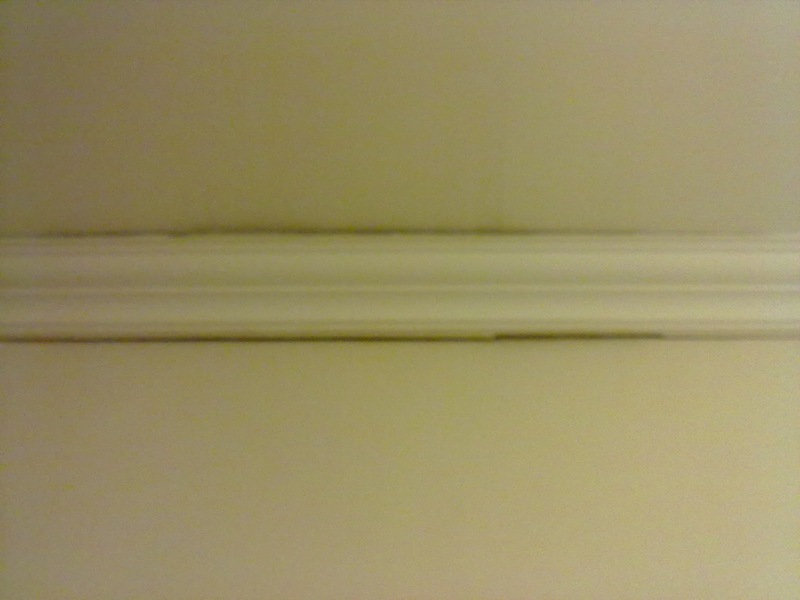 wear and tear over the years, cracks do appear in the walls, paint crack, and the plaster also cracks. But it is interesting that you brought up the subject of ceilings. just make sure that the ceiling in your house is NOT THE ASBESTOS type.